Click on the Play Button and 'Butcher Aggression' will start after this message... Thanks for waiting! The zombie apocalypse is here! Waves of creatures are wreaking havoc around town and humankind is on the verge of extinction. Crush the zombies one by one and manage to save the world! Good luck! 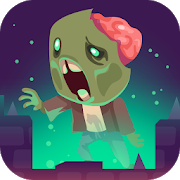 Stay brave and face dozens of dangerous zombies that are ready to take over humankind. Collect weapons, shoot your enemies and clear missions before turning into one of them! Save the planet!